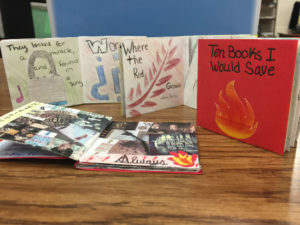 As a culmination of the unit, students were asked to imagine living in a world where books are being burned to ashes, and access to online texts only provides information on what the government deems appropriate. The ability to think for oneself, and to experience the joy of discovering a beloved book, is being wiped from existence. Future generations will not even realize what they have lost unless the students took action. 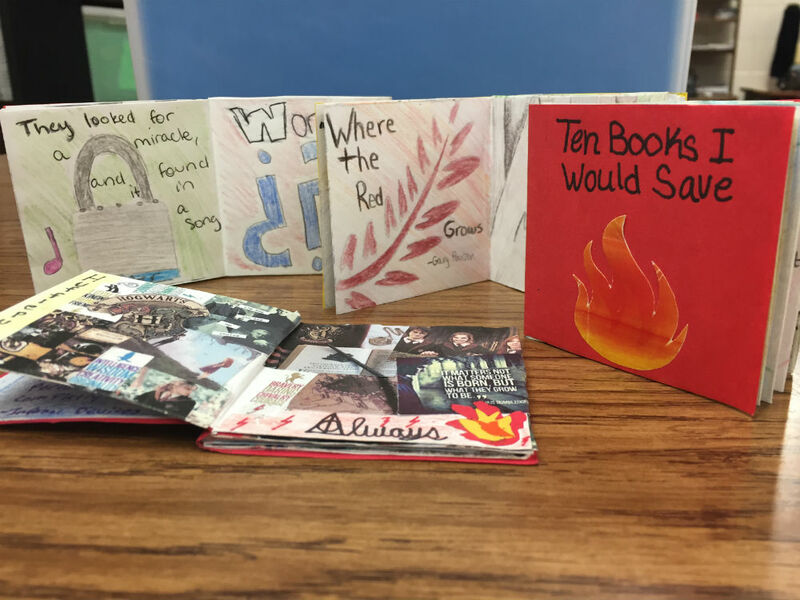 Students needed to determine what ten books they deemed worthy of saving, and then wrote a persuasive argument to convince others of each book’s value. In addition, they turned their arguments into art in the form of mini-fold books. Mrs. Chrastka’s freshman English class read this thought-provoking novel earlier this school year. Due to a limited number of copies, students needed to share books. Thanks to the Educational Foundation Grant, every student will have their own copy next year. This will make it much easier for students to read the book at their own pace, better their level of understanding, and ultimately increase their appreciation of literature.